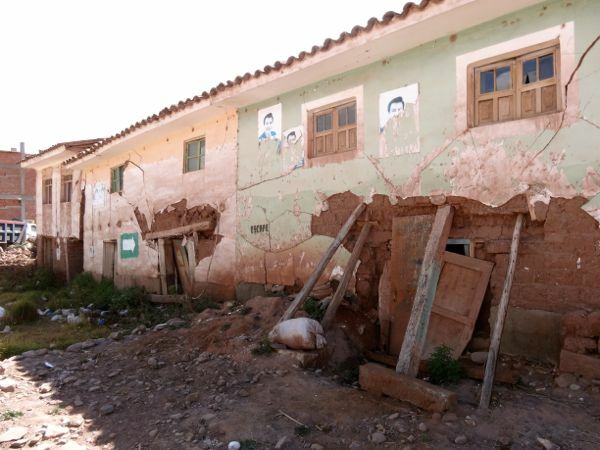 Two and a half years ago, Cusco and the Sacred Valley were hit with some of the most intense and heavy rains in decades. 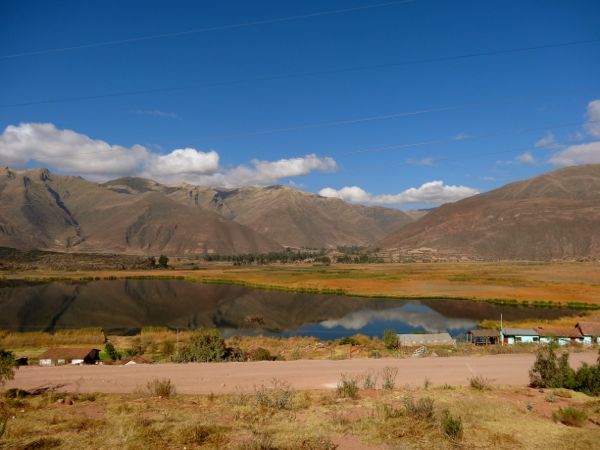 As a result, much of the region was flooded, and there were disastrous landslides throughout Cusco, Much of the road through the Sacred Valley was taken out in several areas, as were some key bridges such as Pisac Bridge. 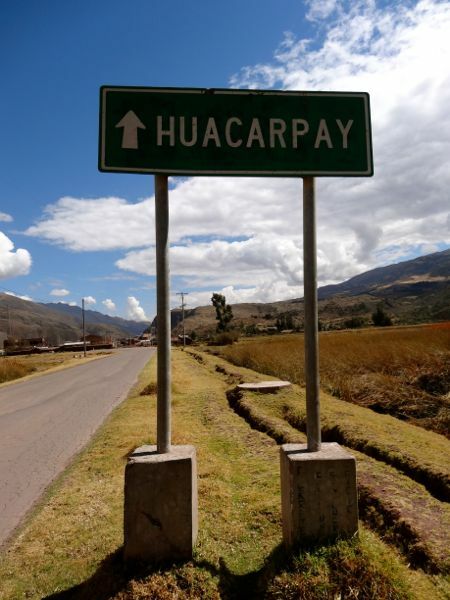 One of the most severely hit was the small town of Huacarpay, about 45 minutes outside of Cusco. 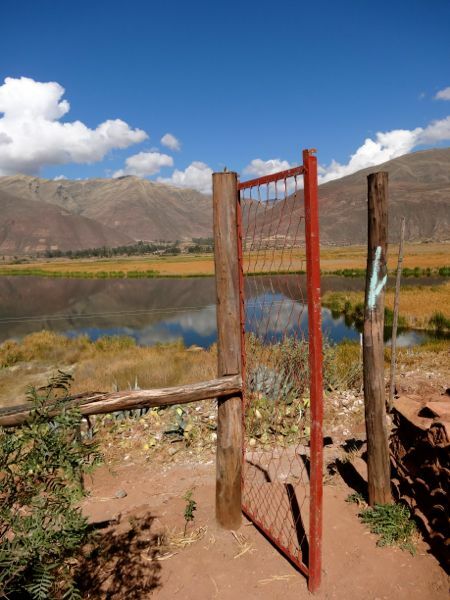 After days and nights of heavy rain in Cusco, the river Huatanay had burst its banks and was raging through the village of Huacarpay, home to 1,600 inhabitants and thousands of livestock. 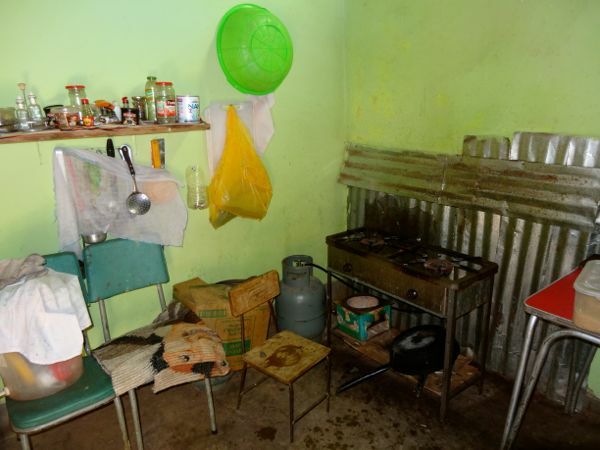 A month after the floods, the whole population of Huacarpay was living in a tent city on a hill above the waterlogged, collapsed village, relying on donations of food, clothing, water and blankets. 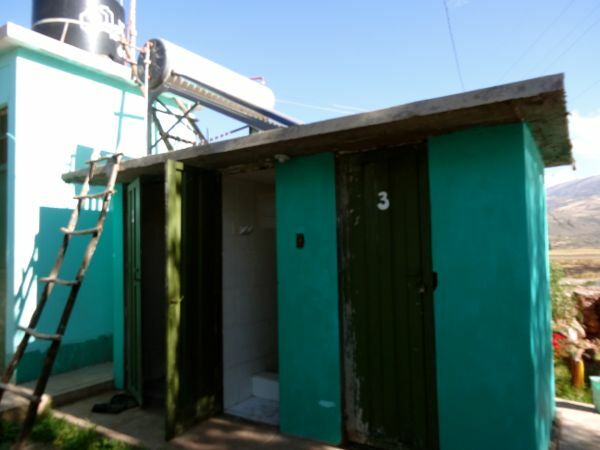 Thanks to the efforts of relief organizations such as Plan International and the independent charitable group La Casa de Mayten, the villagers managed to create an impressive degree of order amidst the chaos. 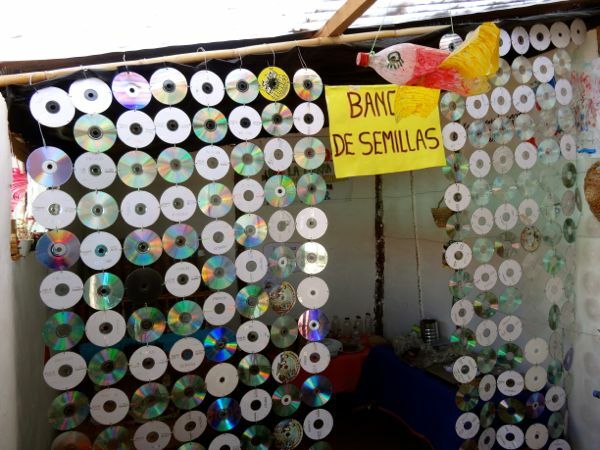 They constructed a roofed cooking area, and organized relief efforts from within Peru and abroad. 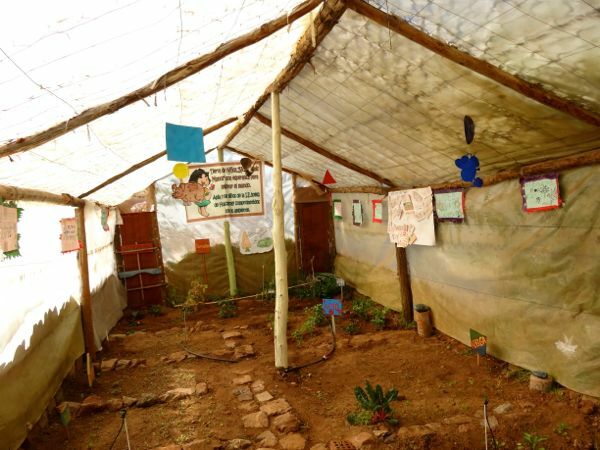 A temporary tent school was also built to educate the village’s 300 children. 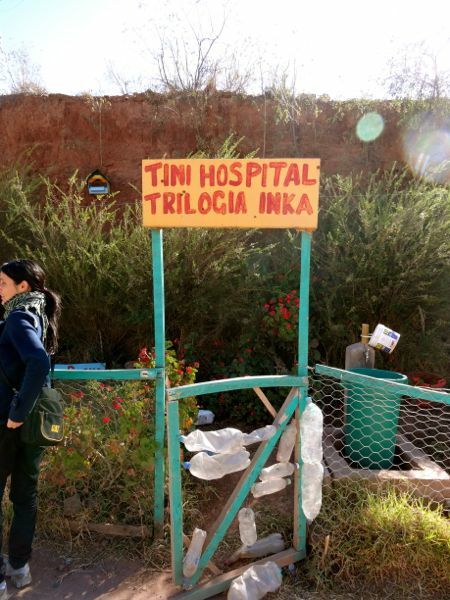 Part of my work while here in Peru is to visit organizations to see about the possibility of placing volunteers for my work with Beyond Volunteering. 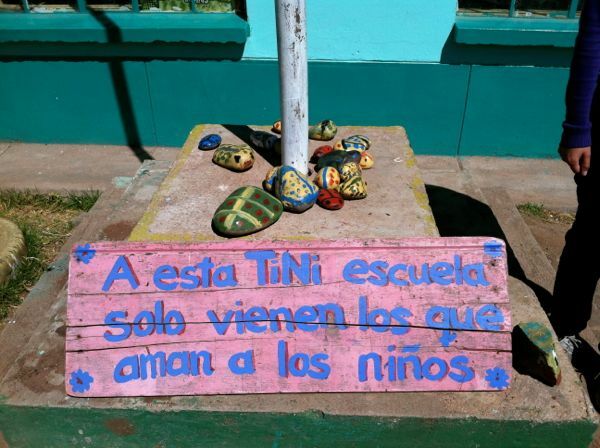 Last Tuesday I visited a school called ANIA: Tierra de Ninos “Vida en mis Manos”. ANIA stands for Asociacion para la Ninez y su Ambiente (Association for Children and their Environment). I didn’t know much about the organization before I went, but I placed my first volunteer there, and since she was just finishing up her 3 week stay, I thought it would be a perfect chance to pay the project a visit. 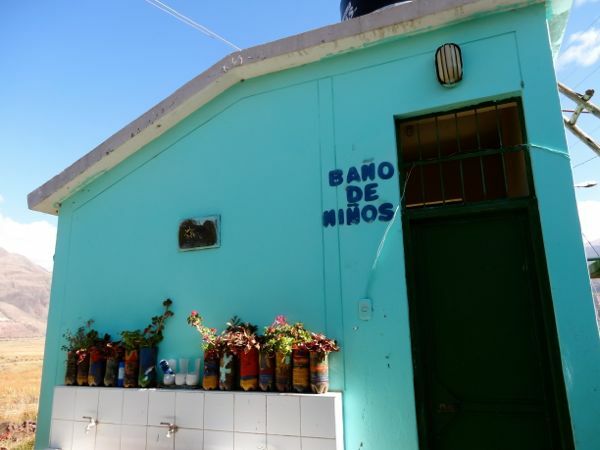 The ANIA School I went to is located in the town of Huacarpay, so I was extremely interested in seeing how the town was doing after the terrible destruction of just a couple of years ago. 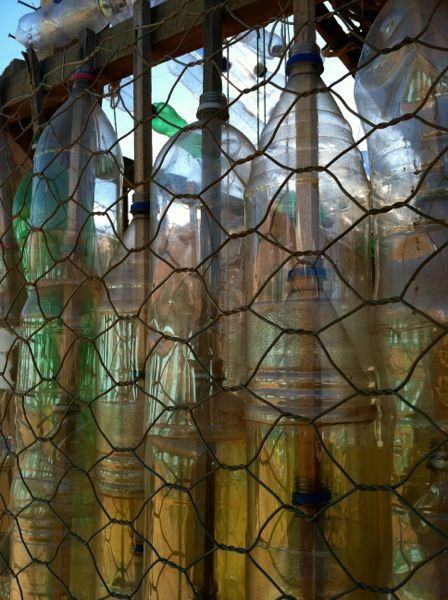 Before I went, I had a few email exchanges with Yllari Chaska, the project director and volunteer coordinator. She was absolutely lovely from the moment we connected, and she offered to meet me at the bus stop in Cusco so we could head out to the school together. We met at the bus stop, and as soon as we started chatting, I felt like I had known Yllari for years – she was so warm and excited to share with me about the project. You could tell she was extremely passionate about the work. 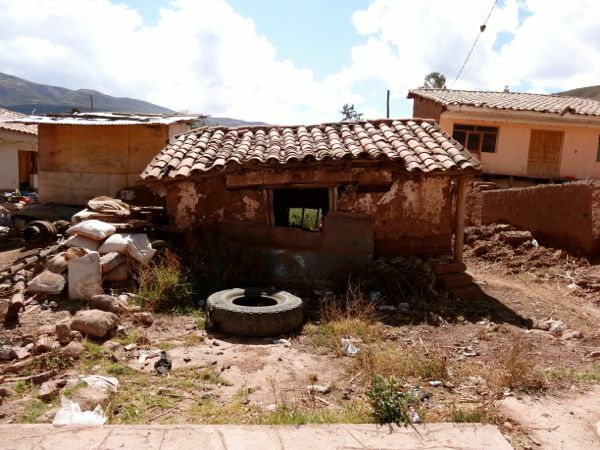 When we arrived in Huacarpay, we passed through the outside of town where we saw some of the houses devastated from the floods – still just as they stood two and a half years ago, an eery reminder of just how much destruction had taken place. We then walked up a hill and eventually saw a cute little green school situated on a small hilltop that overlooked a gorgeous lake. 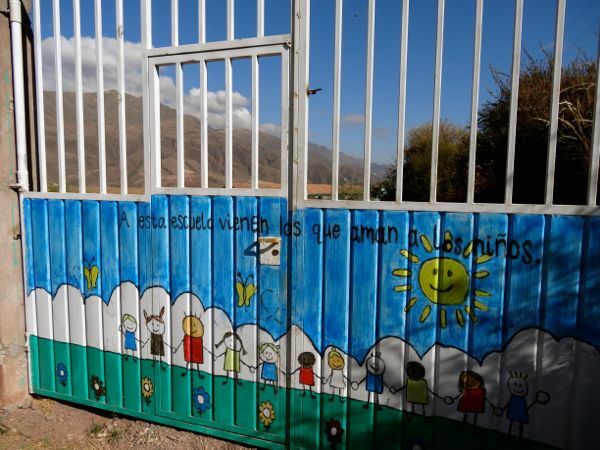 As you arrive, the first thing you see is a beautiful hand-painted gate that reads “to this school come only those that love children.” Awesome ;-) As I entered the school, more beautiful art and gardens greeted me on either side of the walkway. 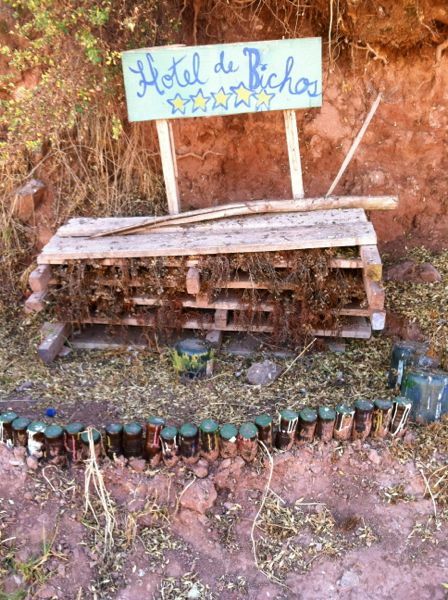 Everywhere I looked there were cute, creative concepts like the “Hotel de Bichos”/Bug Hotel ;-) and simple but wonderful examples of ANIA’s mission at work: to teach these children how to love, honor, and care for the land. Then a small woman with a huge smile and cute ruffly green apron popped her head out of one of the classrooms. 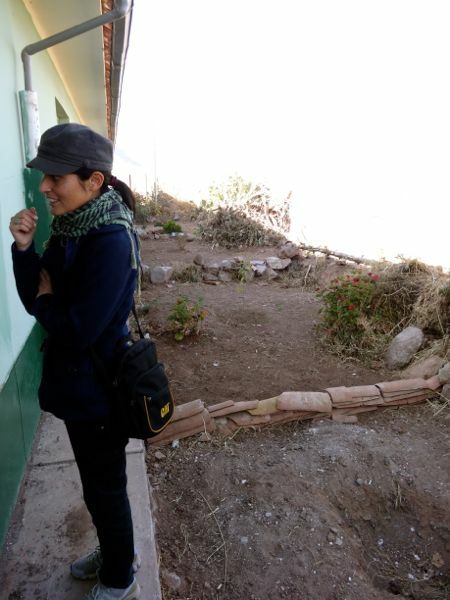 Yanet is the director and main teacher at the school. She was so warm and friendly and super excited to have us visit, so she ushered us in to the classroom to have us meet the kids. 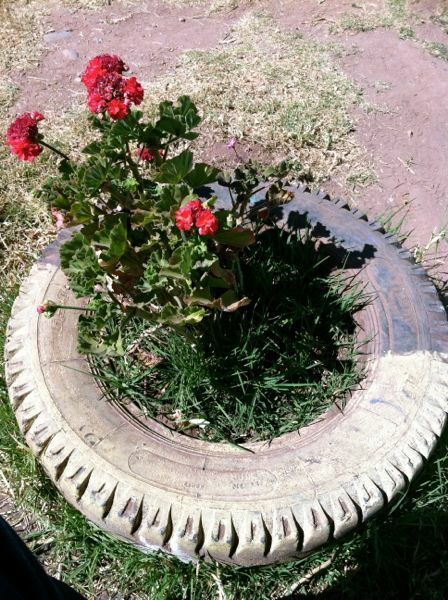 It was wonderful to see the creativity and resourcefulness that true passion can inspire. Yanet showed off all of the tools they have created for the kids, and all the ways they “make it work” with such limited resources and funds. I was blown away at what is possible, and how HAPPY these kids were to be at school! 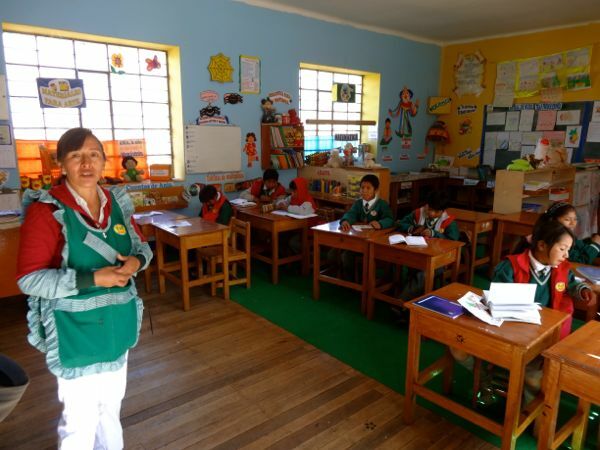 Most of the children who attend ANIA are from the remote countryside of Cusco, some of them up to 2 hours away. 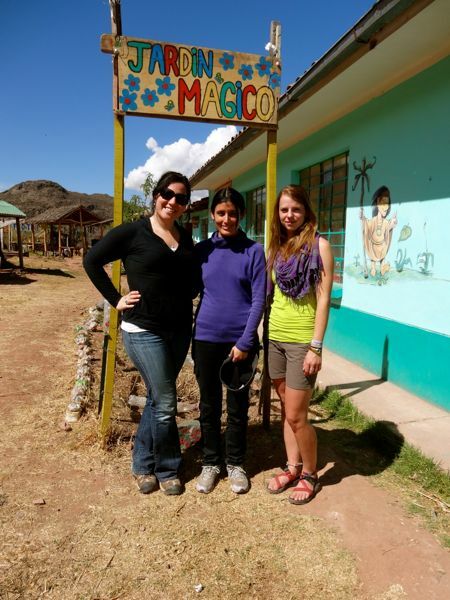 Their families bring them to Huacarpay to receive their education, work as housekeepers, and to learn Spanish. Yllari explained to me that the parents think they’re doing something good, by giving their children a chance to be successful through learning Spanish, but many of them struggle with the realities of sending their children to a school so far away from home. This is why Yanet and the other teacher who works at the school, Norma, make sure to give the children all the love and affection possible. The children are all so affectionate – all of them excitedly said “Hola” to me and a bunch of them ran up to me and gave me hugs. They’re amazingly grateful for the opportunity to come to school, and to receive the level of love and support that they do; and it’s so sad to think that they don’t get the love they deserve where they live. ANIA is their only refuge. 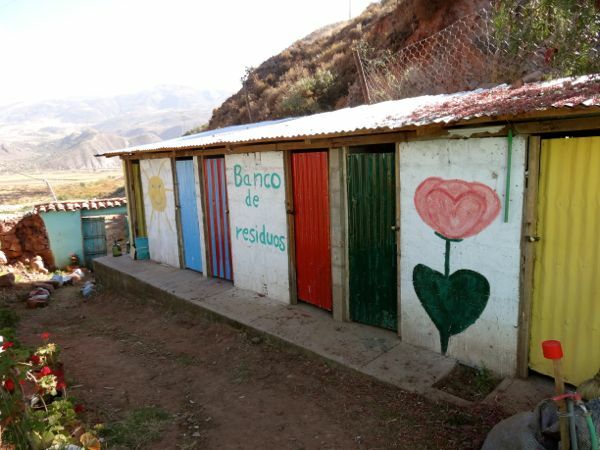 After the floods a couple of years ago – the school at Huacarpay became a fort of sorts for the locals who were displaced from their homes. 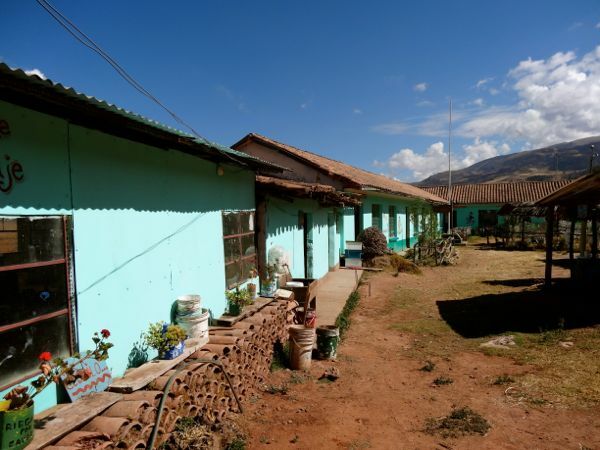 As a result, the school ended up incorporating an overnight component (“internado”), so the children have been able to stay the night at the school during the week. This has added a great service to the families since the children have a safe place to sleep and no need to travel every day to/from school. But this has also added a substantial expense to an already lean budget for the project, and only a few days after my visit I was informed that the “internado” would be closing. 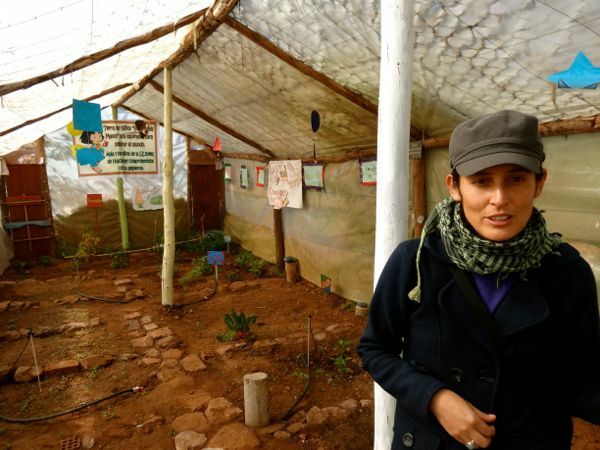 ANIA’s philosophy is to educate children through means of the environment. 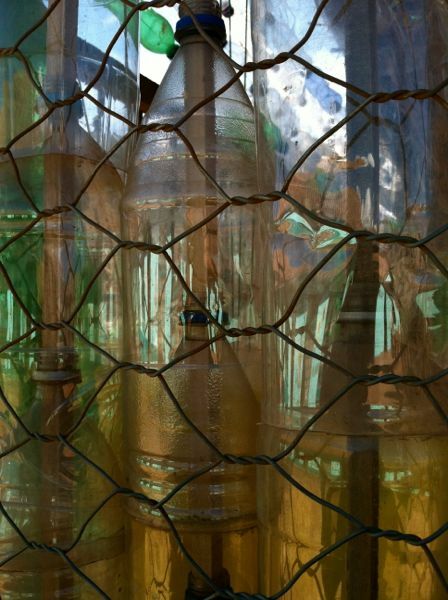 They recycle everything, from the dolls they make out of plastic bottles, to the purses they weave from plastic bags, to the benches they’re making out of weighted plastic bottles and mud. 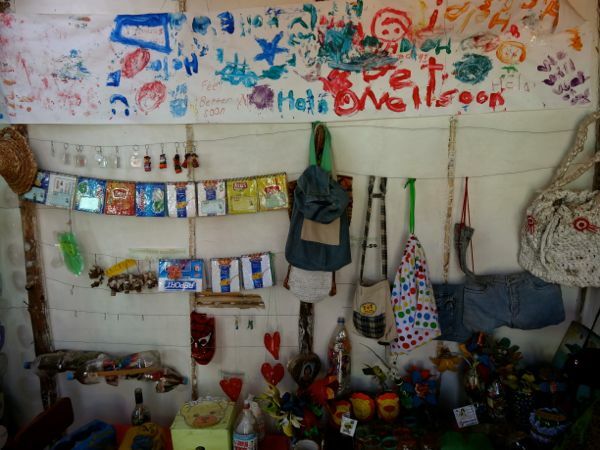 They make most of their crafts in art class, and sell them at the annual Christmas Market Cusco hosts every December 24th. 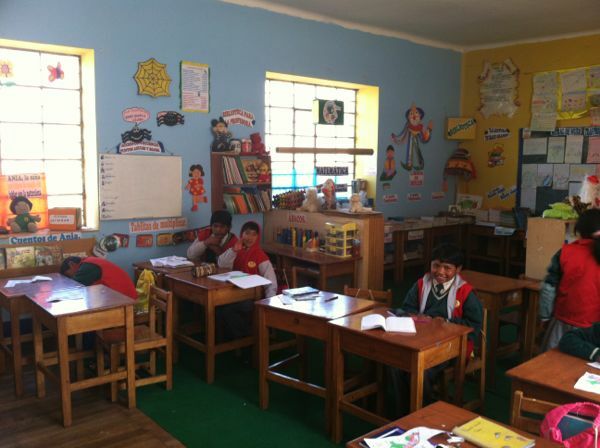 The money goes to buying things for the school, as the government doesn’t help them out much. A few years ago they bought some camera equipment and now they have a news show that they broadcast on YouTube. 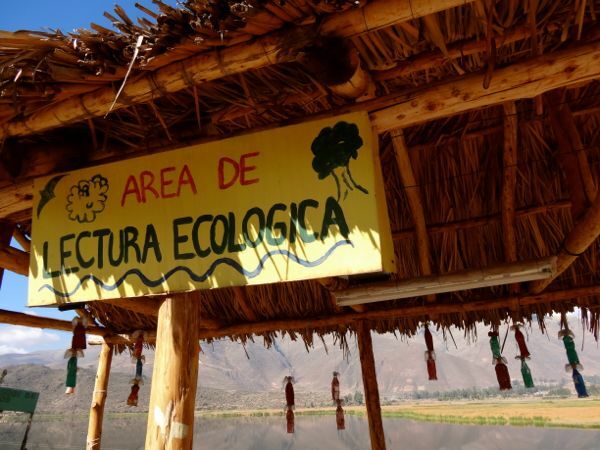 The projects’ main focus is on plants, and on instilling a sense of ecological awareness and responsibility. Each student gets a small plot of land that they learn to take care of. Many of them have small vegetables growing. Through the act of farming, the children are taught the value of nature. 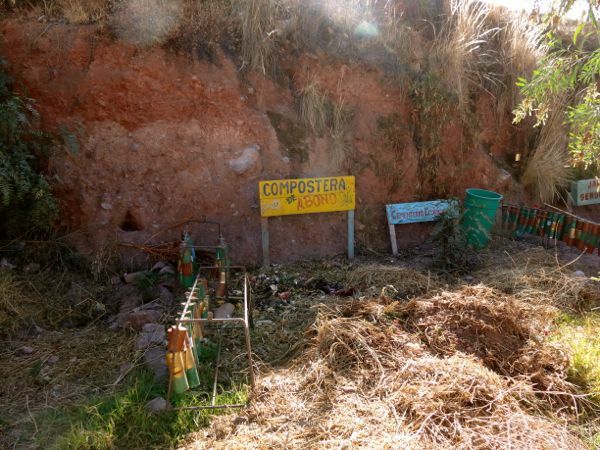 Each plot es divided up into a section for “Pacha Mama” (Quechua for Mother Earth), a section for sharing (they bring the plants in that section back to the house they live in), and a section for personal gain where many of the children sell their crops or eat them themselves. 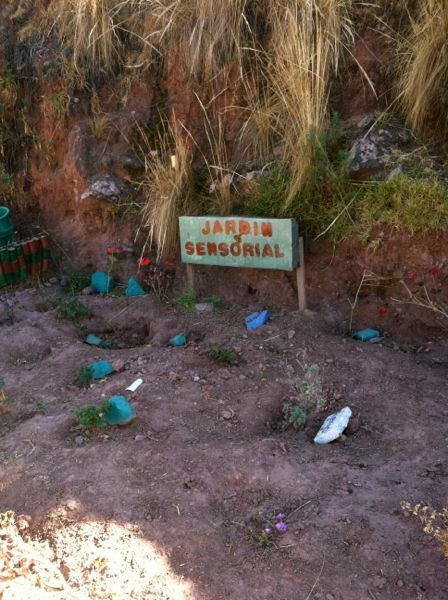 They also have a greenhouse, where the students work in groups, and they get their own small plot for medicinal plants. 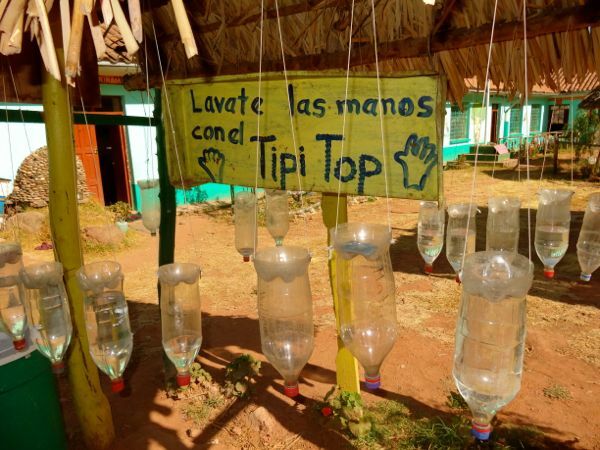 Yanet and Norma encourage a visual and physical approach to learning, rather than having children sit and listen to lectures and copy down notes, they get to create and experience the process. ANIA encourages creativity and resourcefulness in children while teaching them about the importance of taking care of the earth. We then got invited into the dining area to join the kids for their morning snack. It was a delicious juice/smoothie made out of bananas, papaya and milk. 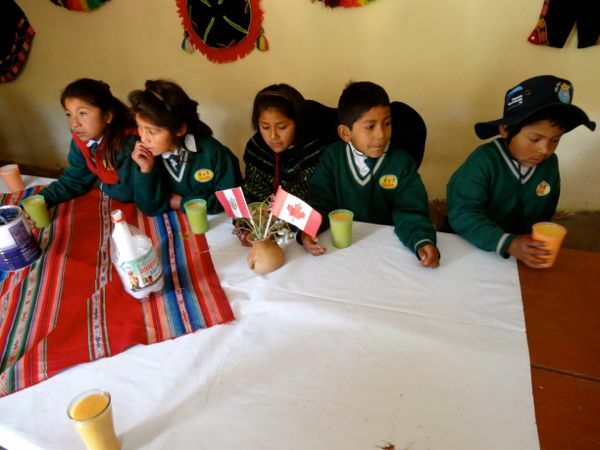 The children receive a morning snack, lunch, and were also given dinner when the internado was functioning, but now leave shortly after their lunch. I then had a chance to sit and talk with Jenna Davidson, the volunteer I had placed there through Beyond Volunteering. 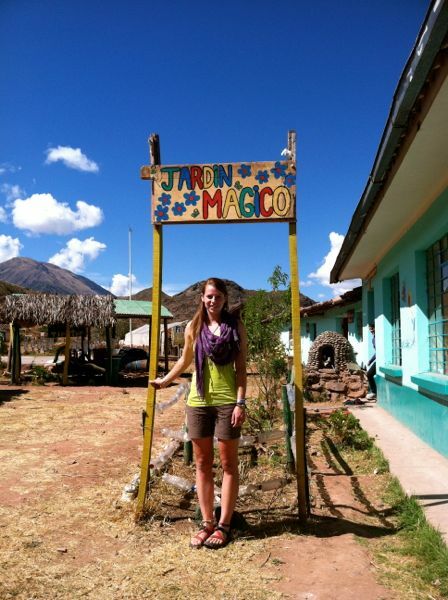 She was from Canada and had spent almost 3 weeks at the Huacarpay school. She said most of her time was spent doing pretty intense manual labor in the gardens. 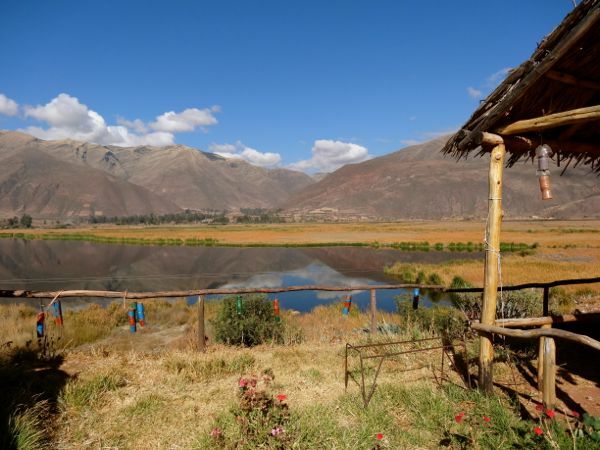 The land is very rugged and needs a lot of work – she doesn’t know how the teachers and kids keep them going year round, and has a huge appreciation for the amount of work that has already gone into the project. 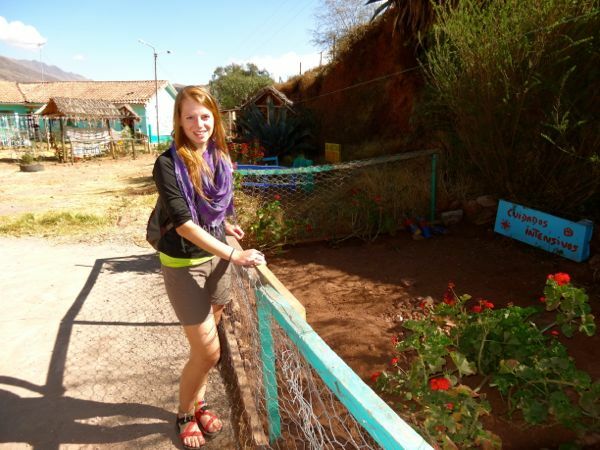 She says it has been one of the most impactful and special experiences of her life, and hopes to continue her work in ecological studies, and hopefully pay another visit to ANIA and Peru again very soon.